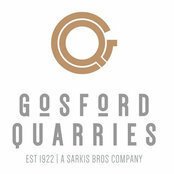 Established in 1922, Gosford Quarries has been the name synonymous with sandstone in Australia for nearly one hundred years, and we’re widely recognised for our expertise in the quarrying and processing of natural Australian sandstone. 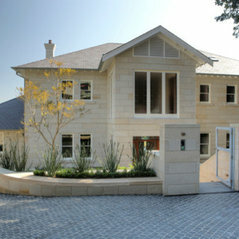 Gosford Quarries’ stone is the most frequently specified sandstone by Australian architects, because we know and understand the capabilities of sandstone and offer the widest selection of colours and finishes. We stand by every recommendation we make because our regular testing of the sandstone allows us to make confident decisions. We pride ourselves on our local products fuelling the Australian economy, utilising our abundant natural resources. Being proudly Australian owned and operated, we will never compromise on quality by importing material or exporting labour, which in turn provides hundreds of job opportunities for Aussies. Gosford Quarries spends millions of dollars on machinery and equipment which supports local employment, as we're forever committed to training apprentices and keeping stonemasonry alive in Australia. This, along with our superior customer service and united team means our customers can have peace of mind that Gosford Quarries is committed to each and every project, no matter the size. Professional Information:Established in 1922, Gosford Quarries has been the name synonymous with sandstone in Australia for nearly one hundred years, and we’re widely recognised for our expertise in the quarrying and processing of natural Australian sandstone. Just like the durability and strength of this natural material, Gosford Quarries remains the leader in the market for over 100 years. Our products are quality tested every step of the way and we are constantly updating our processing techniques to ensure the quality of the raw materials remains intact. With the largest variety of stone colours in the country, there is no need to consider anyone else. Our level of service sees you through the concept stages to the delivery, and because we are a local Australian company, we pride ourselves on fast and efficient service as well as conflict resolution that may arise post-delivery.